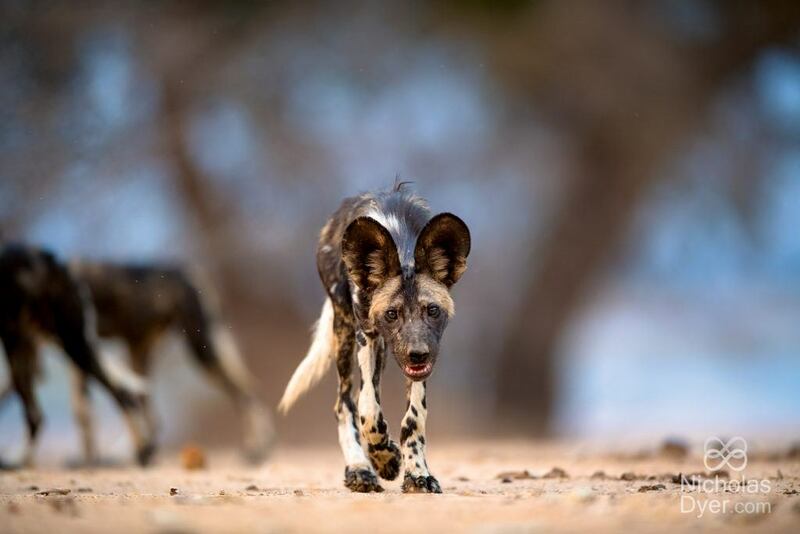 The painted wolf, also known as African wild dog and painted dog, is one of Africa’s most persecuted predators; it is also one of its most elusive and enigmatic. For the last 100 years, the painted wolf has endured an outrageous onslaught of attacks, which has seen their numbers decrease from 500,000 a century ago to only 6,500 today. This 99% reduction in their population has put the painted wolf’s survival on a knife’s edge. However, few people even know this animal exists, or that it is among the world’s endangered species. Most people across Africa perceive painted wolves as threats to domestic livestock; as a result, they are often shot or poisoned. 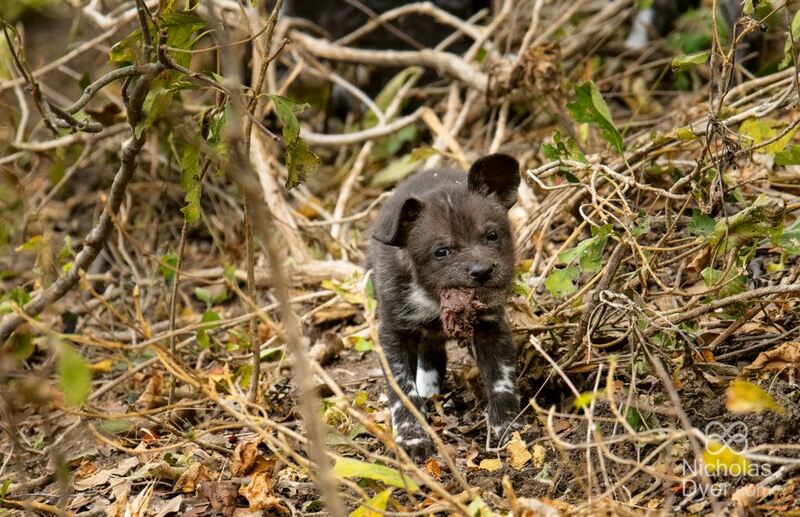 Painted wolves are also unintentional victims of bushmeat snares that have been set to catch other wildlife species for subsistence and commercial hunting outside protected areas and for poaching inside them. Other threats to painted wolves include: injuries or deaths caused by vehicles moving through their habitat and the loss and fragmentation of their habitat. Today, two people are launching a major campaign to support conservation for painted wolves, and to raise global awareness of the species. 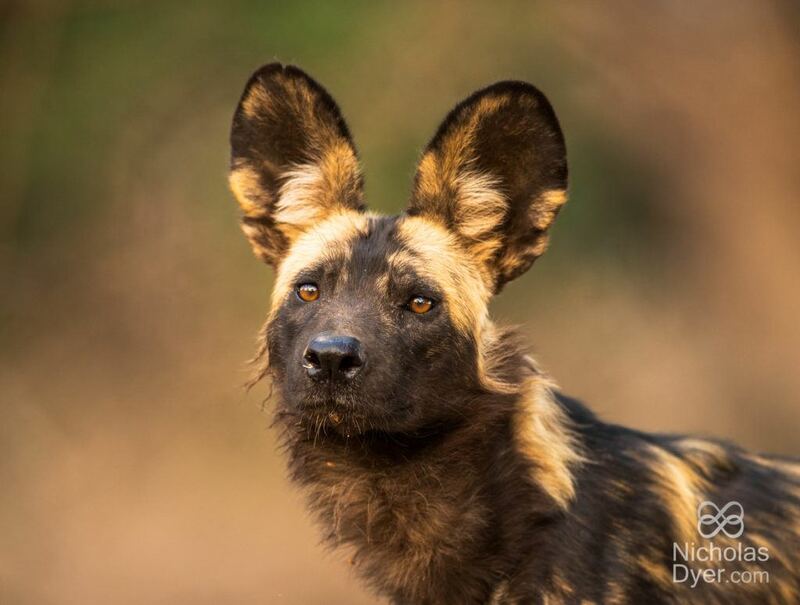 Renowned wildlife photographer Nicholas Dyer—who has been tracking and photographing painted wolves on foot in Zimbabwe’s Zambezi Valley for six years—and conservationist Peter Blinston—managing director of Painted Dog Conservation—have joined forces to write a first-of-its-kind book on the painted wolf: Painted Wolves: A Wild Dog’s Life. You can reserve a copy of the book now, with all profits going to the Painted Wolf Foundation, a UK-registered charity, whose goals are to raise awareness of the painted wolf, and to increase the support base for the species. Expertly narrated across 300 pages and illustrated with over 220 stunning images, this book provides an insider’s look into the secret world of painted wolves, showing them to be incredibly social animal that care deeply for their family’s wellbeing in a tightly knit pack. The alpha female leads the pack and is the only one to breed. Other members of the pack serve as dedicated aunts and uncles, teachers and playmates, hunters and defenders to a brood of beautiful but cheeky little pups. Through this book, Peter and Nick hope to share with people their own unique perspectives about this endearing animal. Buy the book; reserve your copy now—all profits from the book go into the Painted Wolf Foundation, a UK-registered charity, whose goals are to raise awareness of the painted wolf, and to increase the support base for the species. Funds raised will go directly to the organizations in the field who are doing the critical work to save these creatures. 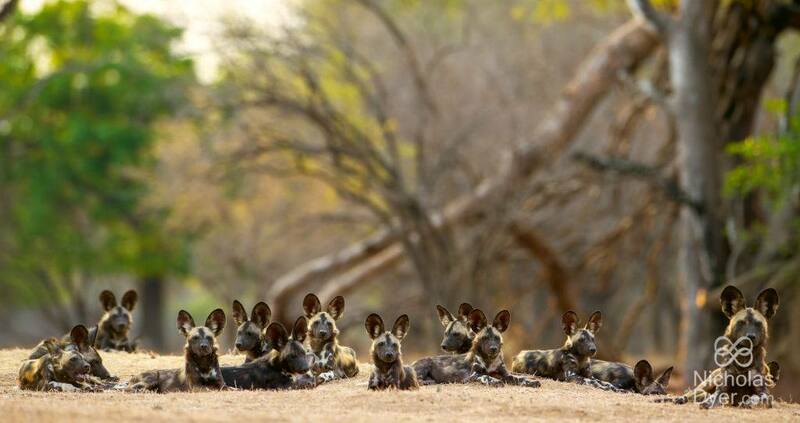 Visit Painted Wolf Foundation’s website and sign up to get the latest stories and updates. Follow Painted Wolf Foundation on Facebook and Instagram and spread the word: ensure that the painted wolf has an important seat at the conservation table. Help us shine a light on the plight of these beautiful animals. Join us. Become part of the pack.